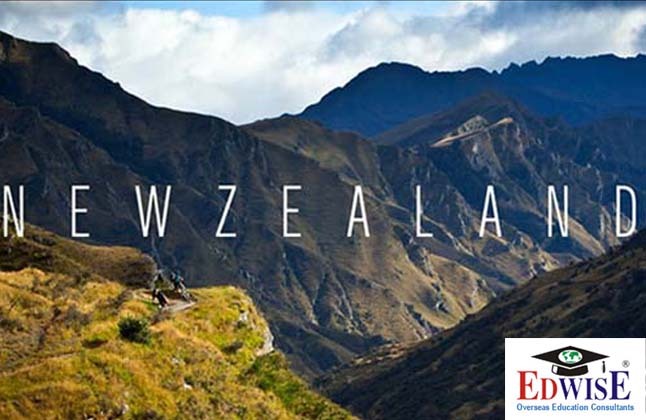 Edwise, India's Leading Overseas Education Consultants is organizing the "New Zealand Fair" from 26th August 2016 to 4th September 2016 at select cities at select time. Immigration NZ staff will be attending to address visa questions. Spot admissions may be given and queries related to the variety of courses available, admission requirements, accommodation etc will be answered by the representatives. Aspiring candidates can register free for the event and bring academic originals with 5 sets of photocopies. Venue: Edwise Delhi - N-13, Opp. South Extension Flyover, Above Punjab National Bank, South Extension Part-1. Venue: Edwise Chennai - 1st Floor, Pioneer Sudarshan Plaza, 9 Mohan Kumaramangalam Street, Nungambakkam High Road. Venue: Edwise Bangalore - N-601, 6th Floor, North Block, Front Wing, Manipal Centre, 47, Dickenson Road, Off. M.G Road. Venue: Edwise Ahmedabad - 304, Campus Corner, Nr. Som Lalit College, St. Xaviers College Char Rasta, Navrangpura. Venue: Edwise Pune - 2nd Floor, Mayur Centre, Opp. Hotel Roopali, F. C. Road, Deccan Gymkhana.